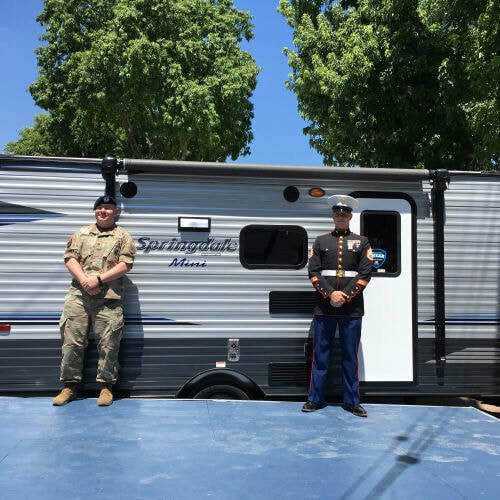 Clear Lake Campground is excited to be part of Tents for Troops, a program that gives campgrounds the opportunity to show appreciation for our troops by providing free camping for active military and their families. At Clear Lake Campground, we offer 2 nights of free camping in a tent or RV site. 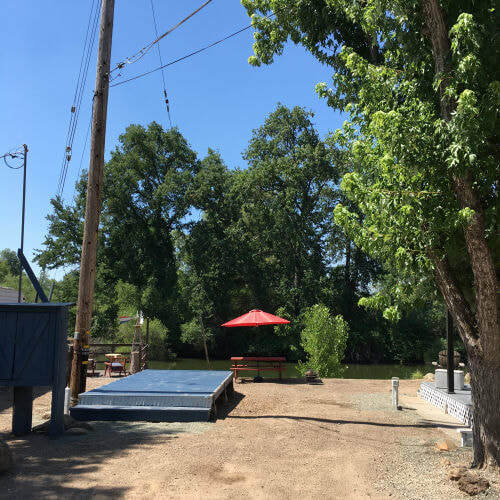 Or for a small fee, the use of the Keystone Springdale travel trailer, right on the shore of Cache Creek, that comfortably sleeps 4 people. 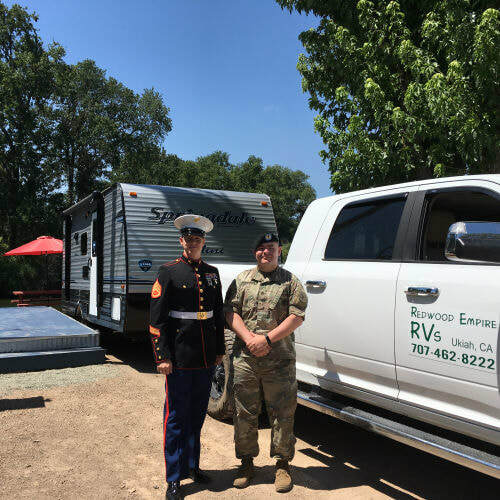 Active military who wish to stay at Clear Lake Campground should make their reservation directly through us (not through the online reservation system) by phone at 707-994-2236 or by email at hello@campclearlake.com. 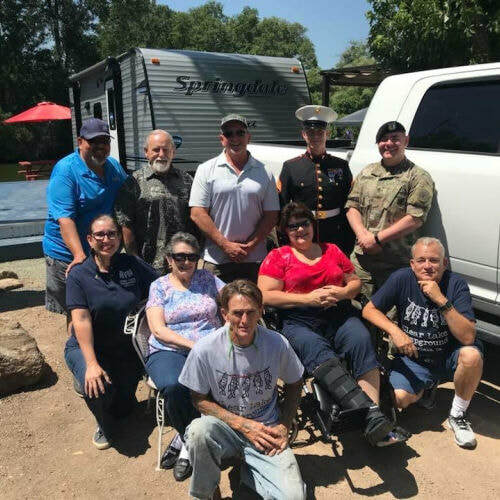 Read more about Tents for Troops at Clear Lake Campground.